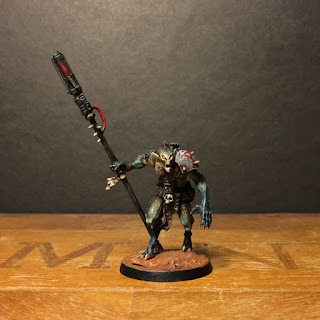 We have already discussed our favorite model releases and our work over the course of 2015, but my favorite part of each year is seeing what interesting miniatures that the community creates! I spend more time than I should each day browsing the internet, looking for little converted soldiers. If you are reading this blog, you likely do not need me to tell you about how fantastic this year has been for the hobby. Instead, I will show you some of the blogs and models that stood out to us at Between the Bolter and Me! This list is not an all-inclusive one, and is listed in no particular order. Sorry in advance if we forgot to include anyone on this list, the wealth of fantastic models and modelers is too great to ever list in just one place! We cannot think of a better place to start this list than with Krautscientist’s excellent Eternal Hunt. One thing that we particularly love about the site is the vast scope of it. Rather than simply creating a range of characterful models, he also examines all of Games Workshop’s releases, talking about what he likes and dislikes. And best of all, he also talks about potential conversion opportunities for each kit. His critical discussion of miniatures is something that I wish there was more of on the internet, and is one of the things we at Between the Bolter and Me have been striving to do, as well. 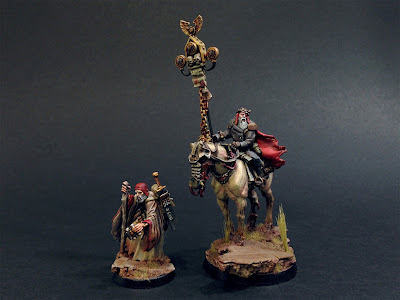 In an age of 140 character tweets, maybe lengthy expositions about the finer points of miniatures is not what most people desire, but we are glad to have Krautscientist (and will continue reading every word he writes, and write similarly long posts ourselves!). Krautscientist's Brother Garron, The Doomwall. Krautscientist created too many models to showcase all of here, so I will just mention two. 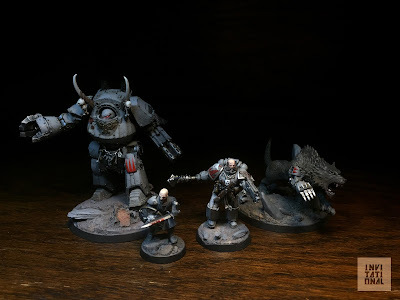 The first is an addition to his World Eaters army, the silent behemoth, Brother Garron, “The Doomwall.” An excellent terminator conversion to create a modern version of the classic MKI tactical dreadnought armor. The second is his first attempt at a “true-scale” Space Marine: Praetor Janus Auriga of the Golden Legion. Although he is a rather simple conversion, the composition is just right, giving him the added bulk that is critical in a Space Marine. Just look at the plasma pistol, it actually looks relatively small in his armored gauntlet, something I never thought I would say about one of those oversized pistols! 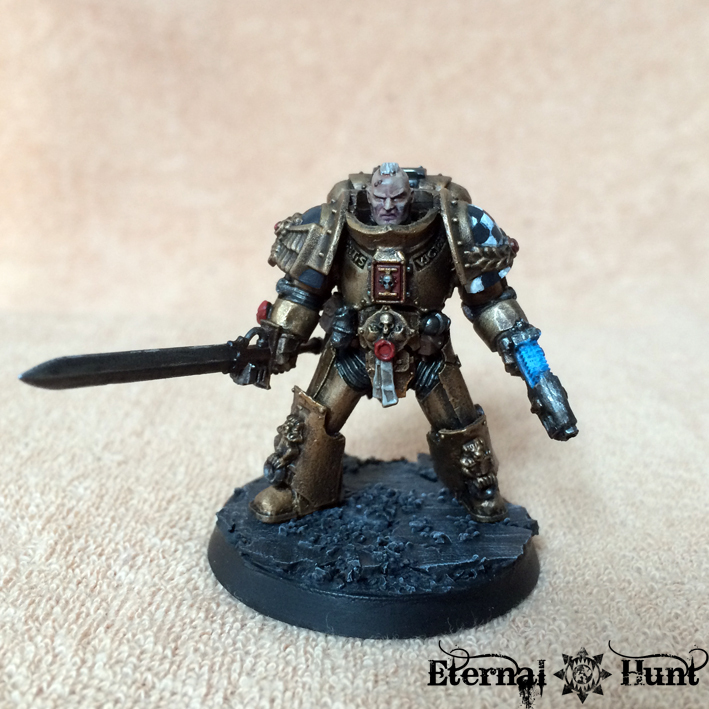 Krautscientist's Praetor Janus Auriga of the Golden Legion. Although he has been blogging since 2014, we only discovered Bigbossredskullz’ work this year through his entry into Iron Sleet’s Invitational. The only thing that seems to outpace his model output is his creativity and vision for the esoteric and macabre! 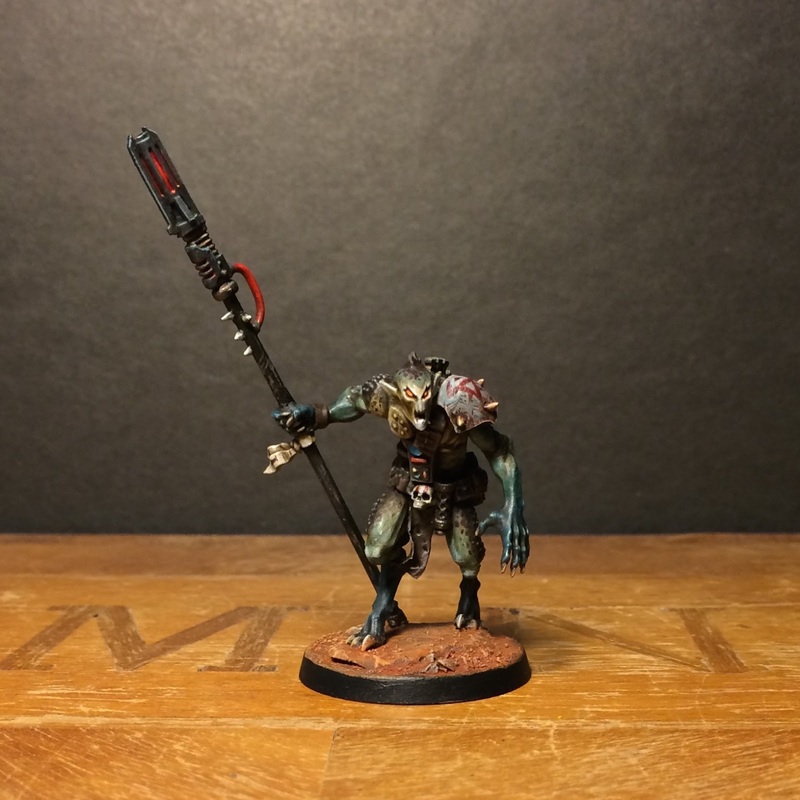 It is hard to pick a favorite, but of all his creations, something about this Ruststalker conversion really captured our imagination (and hearts?!). The Horrorstalker is the pinnacle of tortured metal, worked and forged to some fey purpose that the less spoken of the better! We could not create this list without mentioning JRN’s miniaTEXTures. He is one of the best miniature painters in the entire world, due to his fine eye for color, textures, and effects. What he can achieve in just a few hours is astounding, which speaks to his talent and clear and pointed vision for each model. Take for example his recent Space Marine. 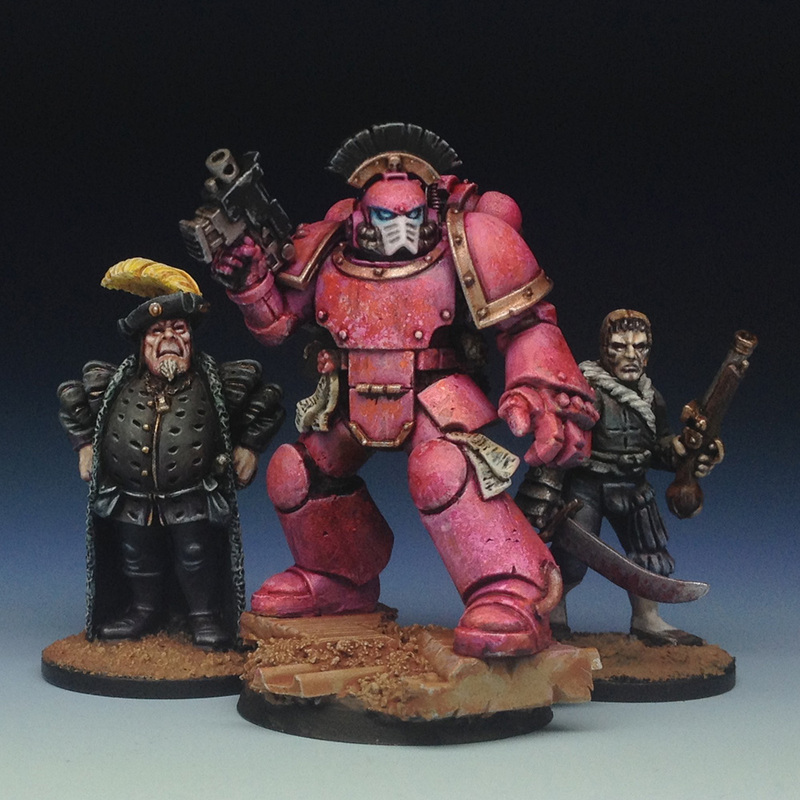 In under two hours he was able to make pink look like the ideal color for all Space Marines; quite a feat. 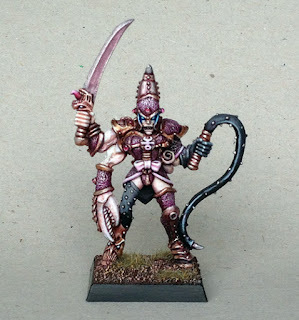 He has also been painting some classic old GW sculpts, like this Champion of Slaanesh. The subtle blending of purple, pink, and metallics is captivating, making him one of our favorite painted models of the year. 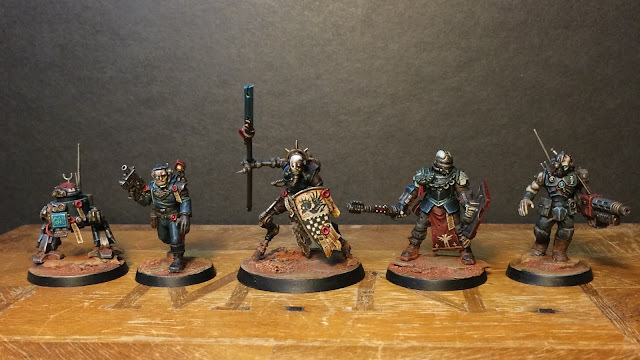 Henry South of Four Go To War has an excellent hobby blog that deals equal parts in converting and painting. 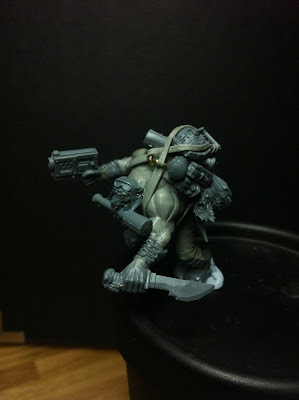 We knew we had to include him here this year for one project in particular, his Assassin Kill Team. He converted and painted three of the four Temples, arguably capturing the essence of each better than GW did with their plastic release this year! It is hard to think of 2015 without thinking of Jeff Vader. A master of careful conversions, he creates incredibly effective kit-bashes that do not seem like kit-bashes at all. It is as if he can see the true potential in a model, and when he sets his mind on something, he does not let the limitations of the base plastic hold him back. Such is his skill that he makes all of this seem effortless, something that could not be further from the truth. Like JRN, he also has a knack for painting his models with a haste that seems at odds with how excellent they look. Jeff Vander's Ordo Machinvm Force - Delta Secundus, Imperial Navy Liason, Bellator Sicarii, Enfocer Assante, Gun Servitor. 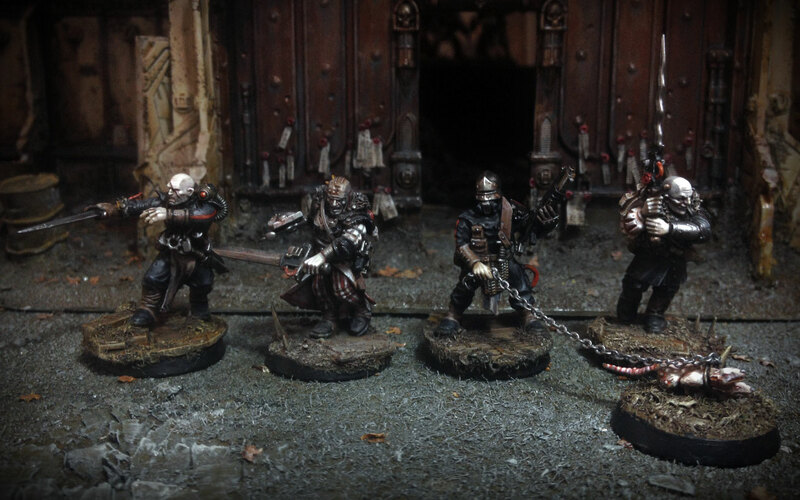 He created all manner of exotic Mechanicum models that really took advantage of the eclectic range of parts present in the new Mechanicum releases of the year. He even created a delightful little astromech! 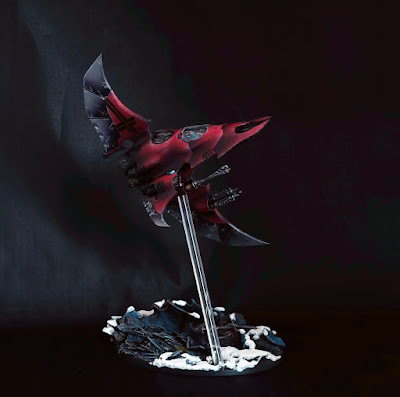 Our favorite creation of his this year, however, was his Skadiir Hunter, a vicious looking xenos warrior, that hardly looks like the Bloodletter she was based upon! 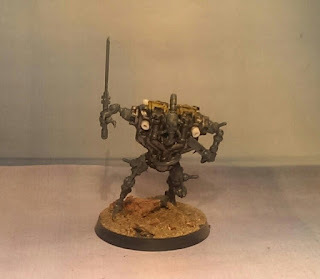 All of Games Workshop’s IPs are set in dark and grim places; 40k’s tagline is “In the Grim Darkness of the far future, there is only War.” So it is no surprise that all of the blogs listed here show dark imagery, but none compare to the dismal and bleak quality that Ex Profundis’ artists pour into their work. The blog is the brainchild of Jake (Bruticus), with the majority of the models coming from his hands, but there are equally impressive contributions by different artists including Julian Bayliss and Rob (Meade). Bruticus’s grim and gritty vision is accomplished via two primary methods, the first is creating his models in such a way that it is difficult to even trace where the components came from. 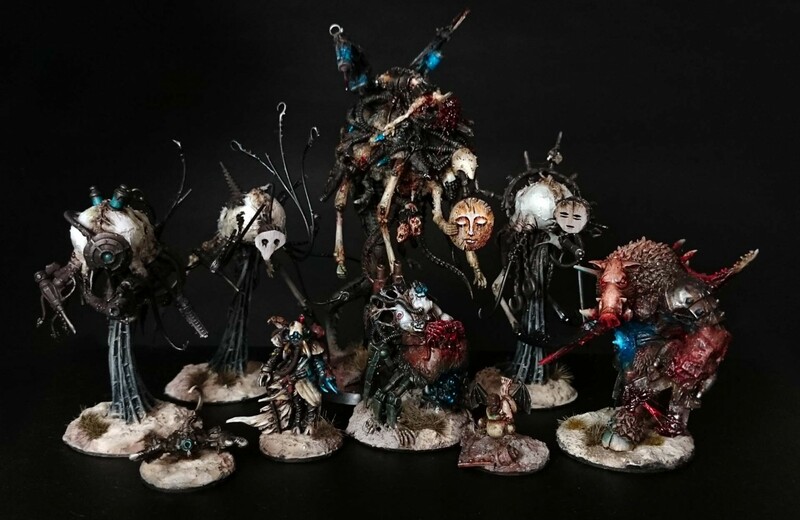 Take his Dark Mechanicum models, for example, instead of simply adding chaos bits to the new line of Mechanicum models, he used Tyranid Mieotic Spore Sacks and a Malanthrope (I think? He he. 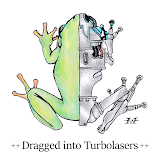 ), giving the models a disgusting biomechanical quality. Secondly, he champions a drab and muted style of painting that rebels from the polished High Fantasy look of Games Workshop’s current ‘Eavy Metal Team. Together, this allows him to inject oppressive, nihilistic qualities into his miniatures. 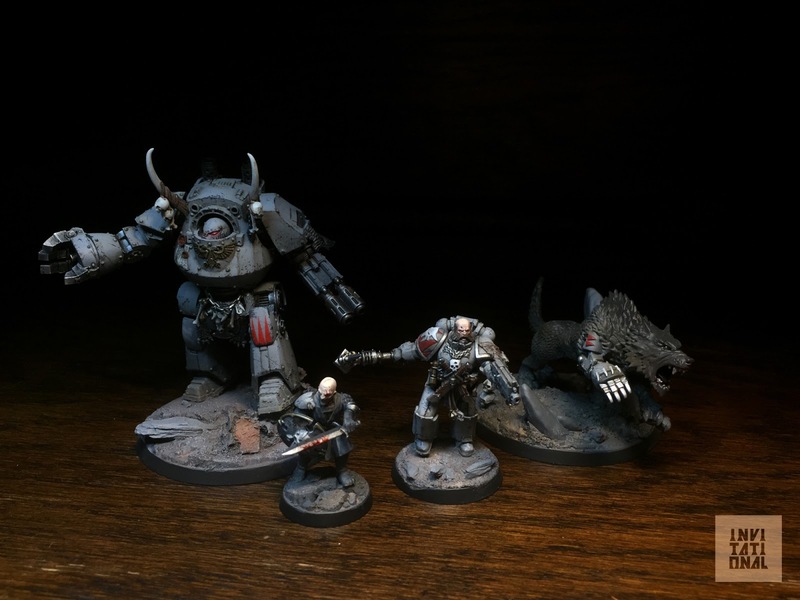 In addition to converting and painting miniatures, he also writes engaging articles examining various aspects of the Warhammer and 40k settings. Bruticus's Dark Mechanicus of House Sinekai. We only recently discovered Wilhelm and his inspiring WihelMiniatures blog. The instant Age of Sigmar was released, people were describing the Stormcast Eternals as Sigmarines, but it was not until I saw his excellent Blood Angels based off Stormcast Liberators that I was convinced. With relatively little converting, he was able to turn the hulking fantasy warriors into convincing Space Marines. If I had to describe Wilhelm’s work succinctly, it would be that he is a master of subtlety and control. Take for example his Tech-priest Dominus. 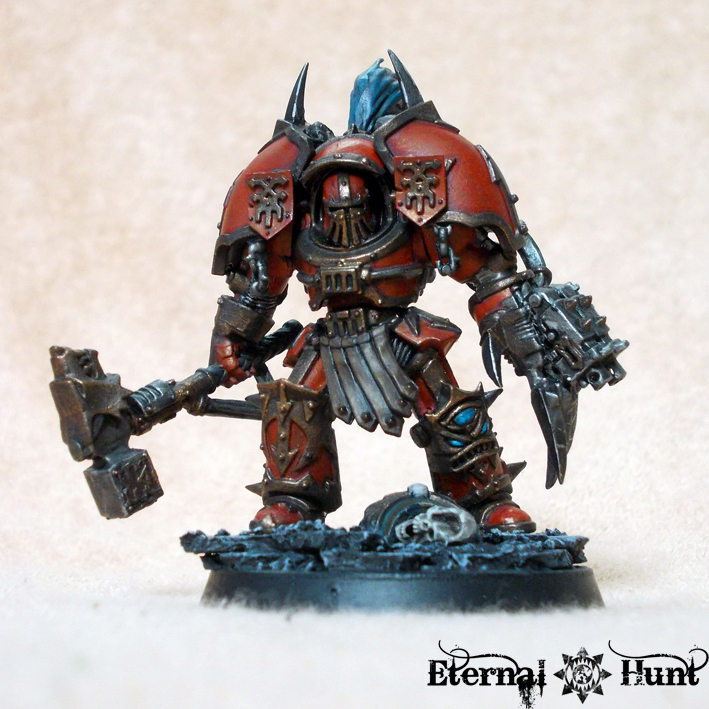 At first glance you might not see any difference from the base model, but then you realize he actually did a fair amount of trimming and converting, so well did he capture of the essence of the model. Gone are his many additional arms brimming with weapons; one is replaced with a Dark Eldar Wrack arm, merging perfectly with the Dominus model, the other is simply gone. 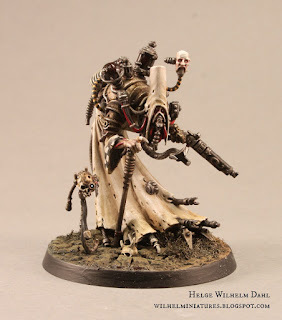 I dare say he improved upon the best Games Workshop model released in years, due to his razor focus on what elements actually make the Dominus such an astounding model. All of Wilhelm’s models show this attention to detail and deep comprehension of the spirit of the characters he creates. 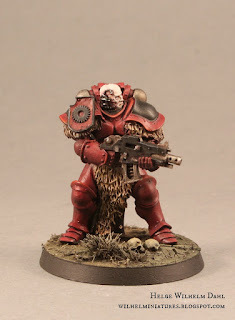 Wilhelm's Blood Angel Space Marine. 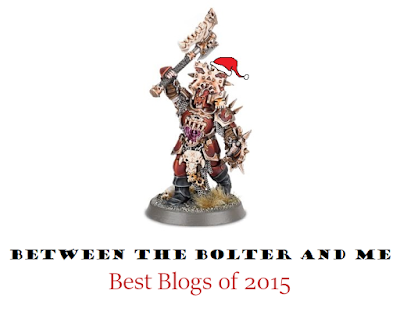 When speaking of blogs that elevate the hobby, Le blog dé Kouzes is sure to come up. Its five members all do amazing work, looking at all aspects of the 40k universe. In addition to converting and painting their models, they also use them in games, something that many of us cannot often attest to (or we cannot at least. He he). Nowhere is this better showcased than with their Burning Skies campaign, where they created various 40k aircraft for use in a simulated dogfight. In particular, Morbäck’s Scarabée Intrépide and Cagn’s Le Baron Manfett are astounding creations, making me wish Games Workshop did more to explore aeronautical combat (ala Dan Abnett’s Double Eagle). We could not make this list without recognizing the veritable hobbyist/modeler supergroup that is Iron Sleet. 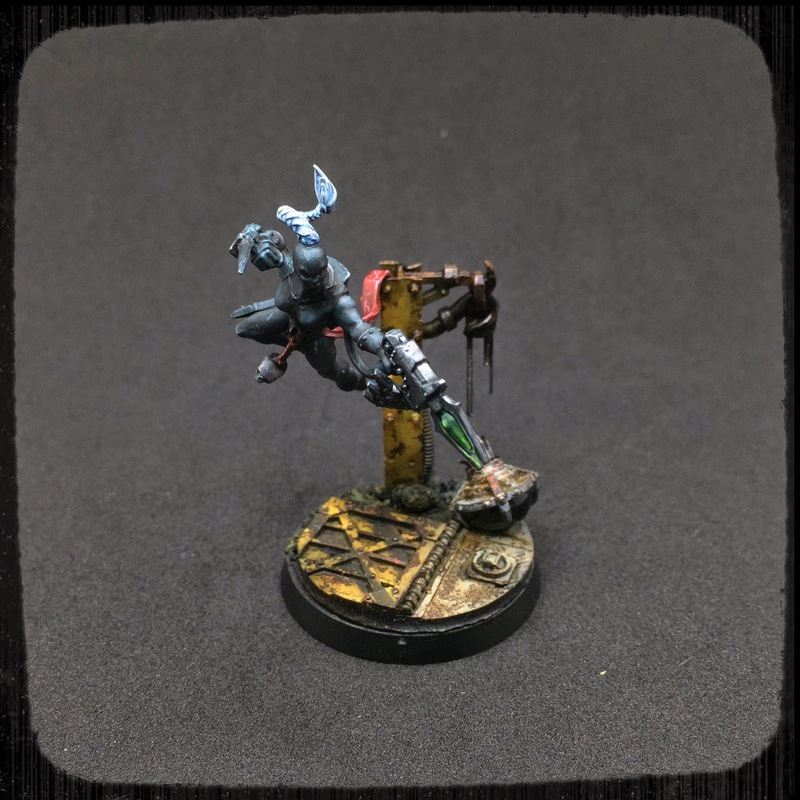 Composed of Migsula (of the Legion of Plastic), Kari and Mikko (of Spiky Rat Pack), and finally a newer, but no less talented Toni, Iron Sleet celebrates the creative spirit that is at the core of the miniature hobby. This was in no small way embodied with their Invitational, where they encouraged anyone to create a series of three model, each on a different sized base, that would explore some facet of the miniature hobby. The results speak for themselves, and each entry deserves to be marveled at and enjoyed. This event was even the catalyst for Adam to start painting models again after a 7 year hiatus. 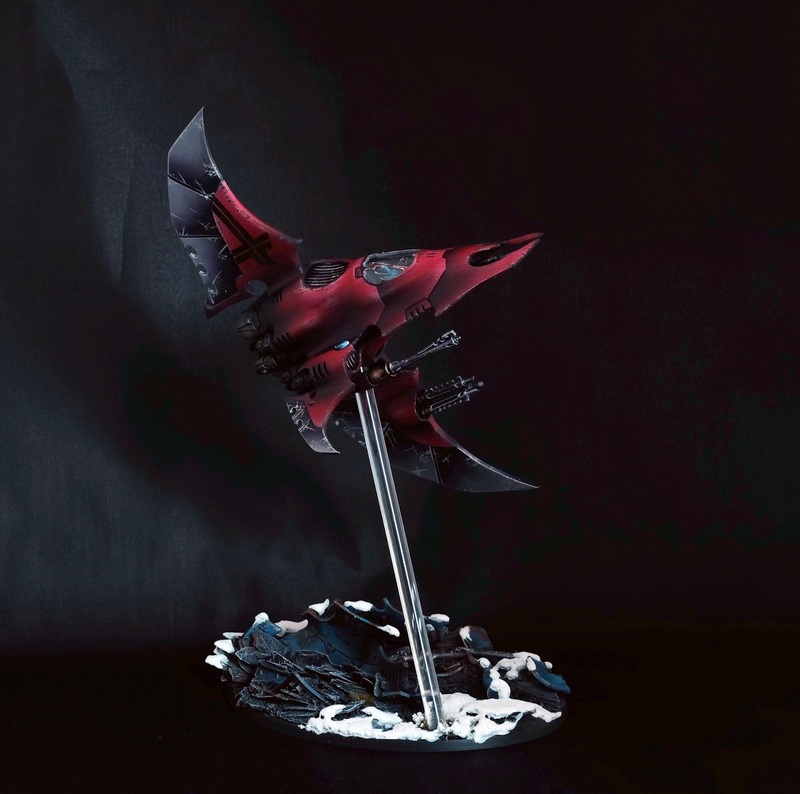 In addition to fostering the hobbyist community, each member also produces some astounding models. Migsula created an entire Space Wolf army in True/Art scale, as an investigation of the essential aesthetics that create the warrior-gods that are the Adeptus Astartes. His Invitational entry does an excellent job of capturing the scope of the project. Kari has a wonderful, Blanchian quality to all of his miniatures, pallid flesh, muted tones, and pinstripes. His Hounds of Inquisitor Valon are a perfect embodiment of his vision. Mikko is an exceptional sculptor, who, more often than not, simply creates elements of this models if he does not find pieces suitable in other kits. He created what is likely the best Blood Axe Kommando ever conceived by sculpting the entire torso and arms himself. Toni puts great emphasis on creating narratives to explore themes not often considered in mainstream GW releases. This is evident in his growing collections of models for his Blind Faith project. His Prophet, in particular, is a fabulous model, very distant from standard 40k tropes, yet still very much a part of the universe. Well there you have it! We hope you enjoyed looking at some of our favorite models and blogs from 2015. If 2016 follows in its footsteps, it is going to be a great year indeed! Oh my, that's a jaw-dropping and awesome collection of blogs you got there. Thanks for sharing! This is so inspirational. What a great collection of blogs, a couple I didn't know about either for me to delve into. I will keep striving and maybe make the list next year. An excellent collection, plus you've reminded me to finally add Henry's blog to my blogroll, something I've been wanting to do for quite a while. Thanks for being such a positive force in the community; it is blogs like yours that remind me why we take the effort to post here to being with! Oh, and I am excited to see that you are one of the four horseman, good luck! I second that! I´m blushing over here - such an honour to mentioned among all these esteemed colleagues. I dig the new logo by the way! A bit slicker than the previous one. I am just happy you take the time to share your creations, WIP and completed models. And any little thing we can do to get more people to discover your work the better! Also, I am glad you like the new logo. We had been meaning to change it for a while, musing over what would be the best way keep some of the themes, but also make it look fresh. I am pleased with how it turned out. Nice roundup of the year - I couldn't agree more with your choices. The community seems to be growing from strength to strength, and 2016 is shaping up to be a huge year not only for amazing individual work, but for amazing community-based projects as well. Exciting times. Thanks! It was fun reflecting about the year and trying to put it all into words. I agree about 2016, it is shaping up to be fantastic. I do not think I have ever been more excited to be a part of this hobby; I cannot wait to share more! This is a great list of blogs, and your article is a great way to discover them! Its an honour to be among the blog mentioned. Thanks a lot! I am glad you like the list. All of the people included have been a source of endless inspiration, your included. I cannot wait to see what 2016 brings. Thank you for creating all the eccentric models! Great collection of blogs, including all of my favourites and a couple I wasn't aware of, so especial thanks for that. I am glad I was able to help you find some new blogs! It is an honour to be referenced along those amazing bloggers! Thank you for consistently making some of the best miniatures in the world, and sharing them with all of us! Just to echo the rest of us mentioned, great company and I already miss my blog. It's only been a month with the ability to blog taken away and I miss it dearly. Thanks for all your great work! What has taken your blog away? No time due to work? I know I'm silly late to the party, but these blogs are what I aspire my blog to live up to, great work by all and very inspirational as always. . . It is never to late to find new blogs! And now I have found yours! Thanks!